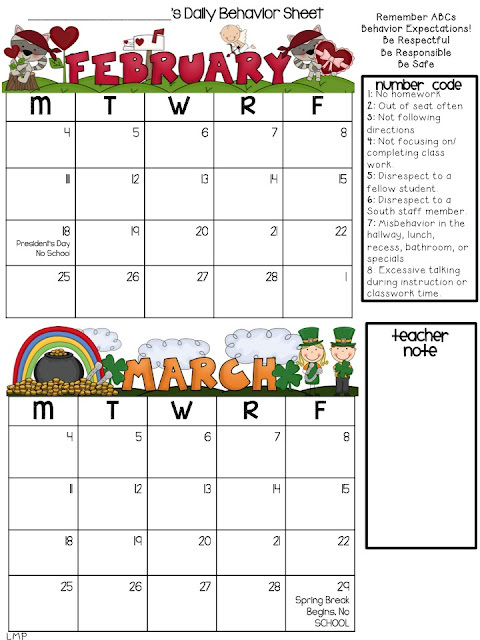 Every three months, my students get a behavior calendar that looks like this. Obviously, I took out personal information like the name of my school, etc, but you get the drift. For many reasons, I really like this method of behavior communication. My students keep this calendar in the front pocket of their take home folder. I love the quick check in it provides for parents, and I love the number coding system. I jot a little note when I sign, which you'll see in a minute, and put any longer extended notes on the back in the Teacher Notes section. Twice a three month cycle, about every six weeks, we reward students with three or fewer signatures during that six week time with an extra recess. For most students, that was highly motivating. However, many of my students that got more than three signatures, quickly lose their desire to behave/make good choices because their extra recess was gone. 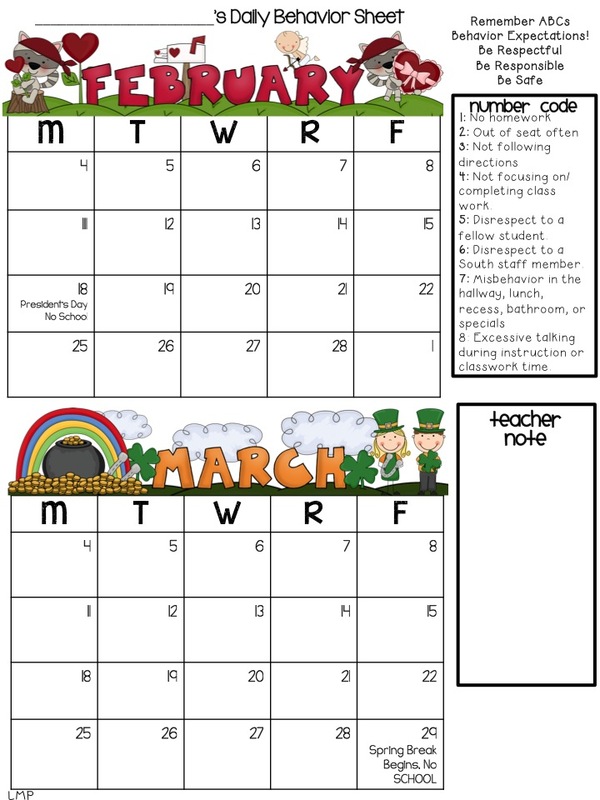 After some researching, I decided to start using my friend Laura's Classroom Coupons with my behavior calendar. Click on the picture below to check them out on TpT! You can check out her posts about coupons here. Starting in February, if my students didn't get their calendar signed they got a star sticker for that day. I just use these simple ones from Avery that I pick up the grocery store. :) Click on the picture to check them on Amazon. Each morning, table captains pass out stickers to the students who didn't get their calendar signed the the day before. This process takes just a few minutes. My table captains pick them up, pass them out, and return the stickers during morning work. 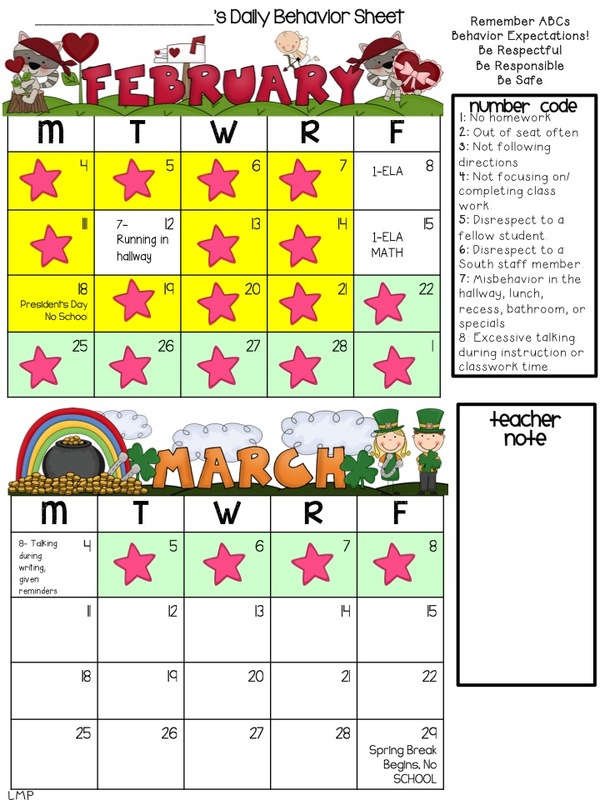 Each student is responsible for putting their stickers on their calendar. So now my students' calendars look a little something like this. Every week, usually on Mondays, I allow my students to go shopping for coupons. Each coupon is worth ten stars. 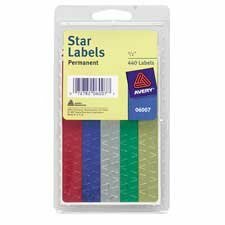 To keep track of redeemed coupons, I highlight, or block with a pen, the ten stars they used on their shopping trip. Since everyone earns ten stars at a different pace, this takes just a few minutes. Laura's pack has A LOT of coupons. So I just picked out the ones that I felt would motivate my students the most. They LOVE the Night Off Homework Coupon, The Flip Flop Coupon (which allows them to sit next to a friend), The Lunch Date Coupon (which allows them to eat lunch with any friend in our grade level at a special table), The Drink Up Coupon (where THEY bring a special drink to have during snack), and Sit at the Teacher's Desk. We have more in our little coupon store, but the ones I just listed are the most motivating. Every week, many of them remark that it's hard to pick a coupon because their are so many good ones. :) What I love most about these coupons is that other than printing them off, they don't cost me anything! Using these coupons has really made a difference in my classroom environment. My students are motivated to make good choices daily and having their calendar signed really means something now! If their calendar gets signed, not only is that strike against the extra recess but it is also means a delay in their coupon shopping trip! I what I love even more is that ALL my students are rewarded for good choices, even if they didn't earn the extra recess. It has also encouraged more responsibility because THEY are responsible for putting on their stickers and I haven't had a kiddo lose a calendar yet, which was an issue in the past! What about you? How do you motivate your students to make good choices? Thank you so much, Lisa! I appreciate your kind words about my coupons! I'm excited your kiddos enjoy them!! I love rewards for good choices!! Have a great week, my friend! As always, GREAT ideas!!!!! I think I am going to start this when we get back from spring break! Have a great day!!! LOVE, LOVE, LOVE this! :) I think I might have to start this as well. 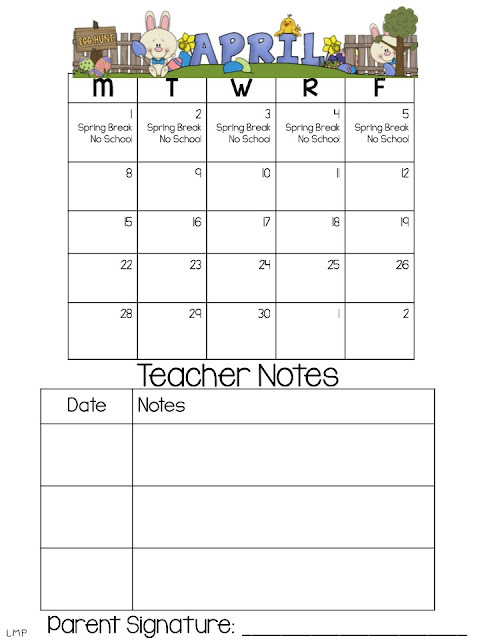 It will be perfect from when we get back from Spring Break through the end of the year...especially when Spring fever hits my 4th graders! :) Thanks for sharing! oops, I forgot to sign my post above. What an AWESOME behavior management idea! I use team tally points (for group management) and tickets (for individual) where they can buy coupons. I'll have to check out Laura's packet. What an easy calendar and system to follow! I'm sure your parents appreciate the communication.